With an Introduction by Studs Terkel and Notes by David Schmittgens and Bill Savage. Ernest Hemingway once said of Nelson Algren’s writing that “you should not read it if you cannot take a punch.” The prose poem, Chicago: City on the Make, filled with language that swings and jabs and stuns, lives up to those words. In this sixtieth anniversary edition, Algren presents 120 years of Chicago history through the lens of its “nobodies nobody knows”: the tramps, hustlers, aging bar fighters, freed death-row inmates, and anonymous working stiffs who prowl its streets. 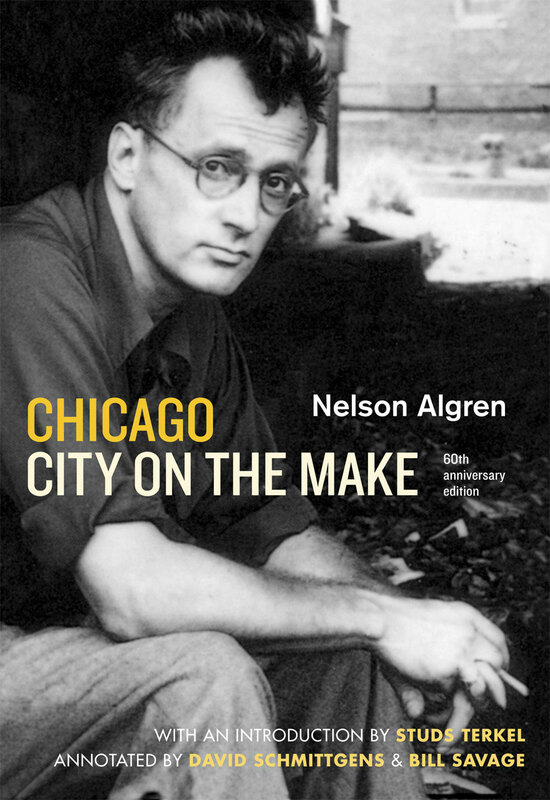 Upon its original publication in 1951, Algren’s Chicago: City on the Make was scorned by the Chicago Chamber of Commerce and local journalists for its gritty portrayal of the city and its people, one that boldly defied City Hall’s business and tourism initiatives. Yet the book captures the essential dilemma of Chicago: the dynamic tension between the city’s breathtaking beauty and its utter brutality, its boundless human energy and its stifling greed and violence.